The product only contains plant cover and the iron stand is not included, please confirm the size of your iron stand before purchasing. 3. 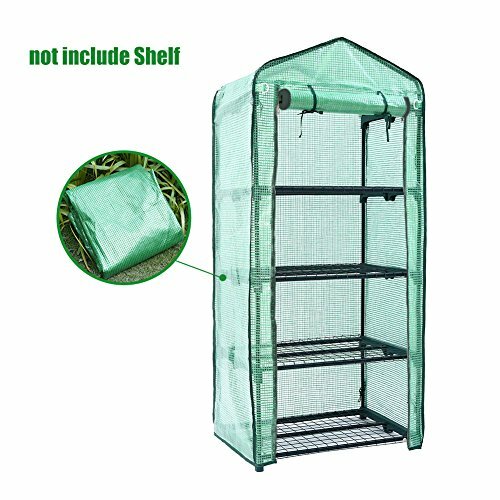 The garden greenhouse can keep warm and protect your plants from the cold and snowstorm to provide more comfortable space for your plant nursery; It is easy to move with good breathability and adequate sunniness. 4. It can be used directly supported with a stick or with the iron stand. If your greenhouse has been damaged, you can just buy our cover to get a new garden warmroom, meanwhile saves you more money. 5. Note: The product only contains plant cover and the iron stand is not included, please confirm the size of your iron stand before purchasing.